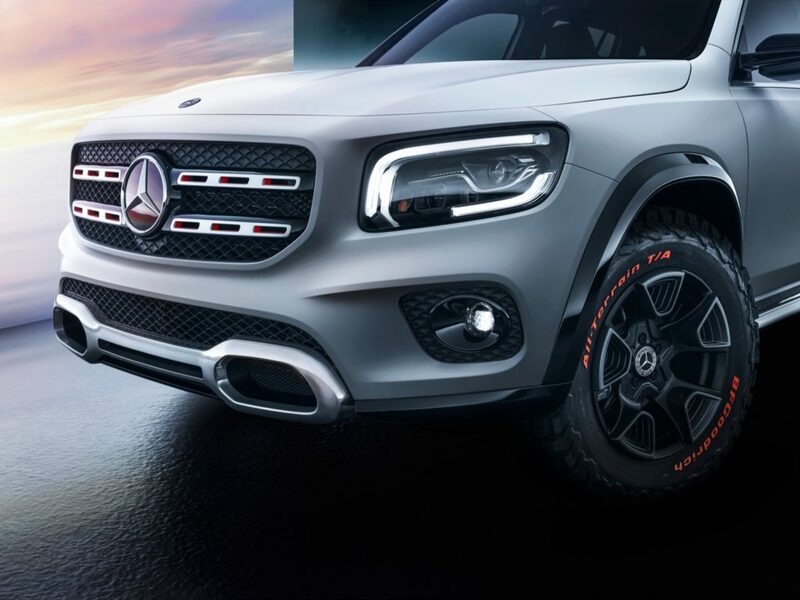 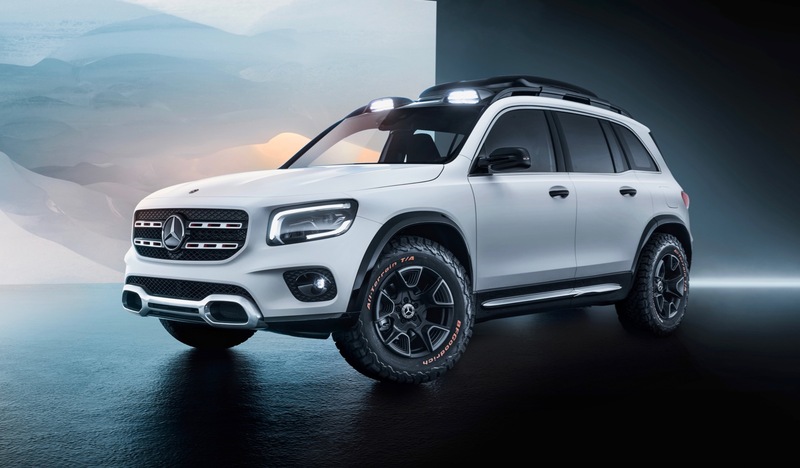 We’ve been waiting to get a preview of Mercedes new rugged compact crossover, the GLB and now we have it. 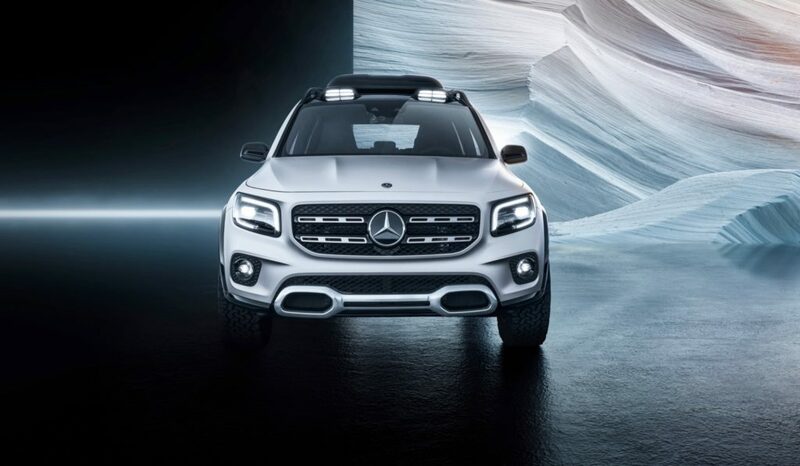 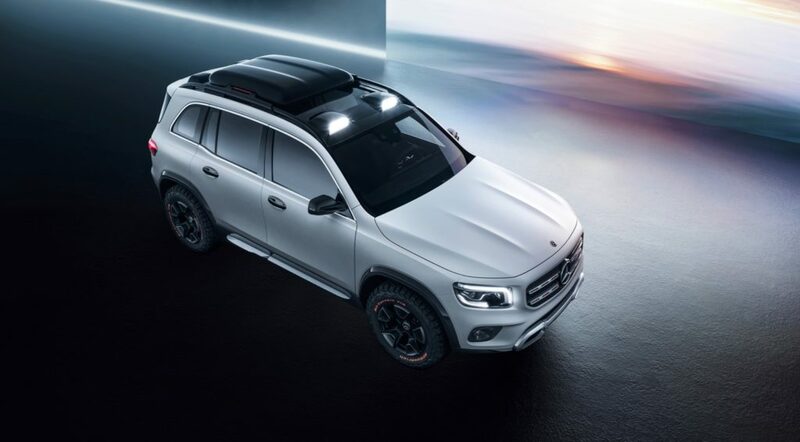 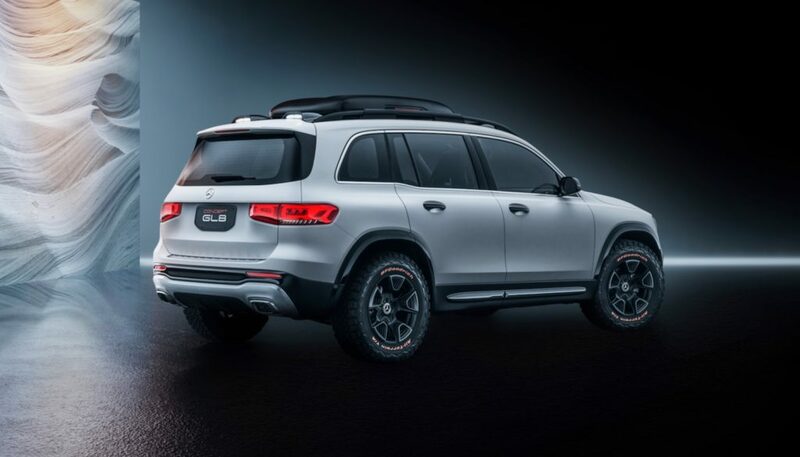 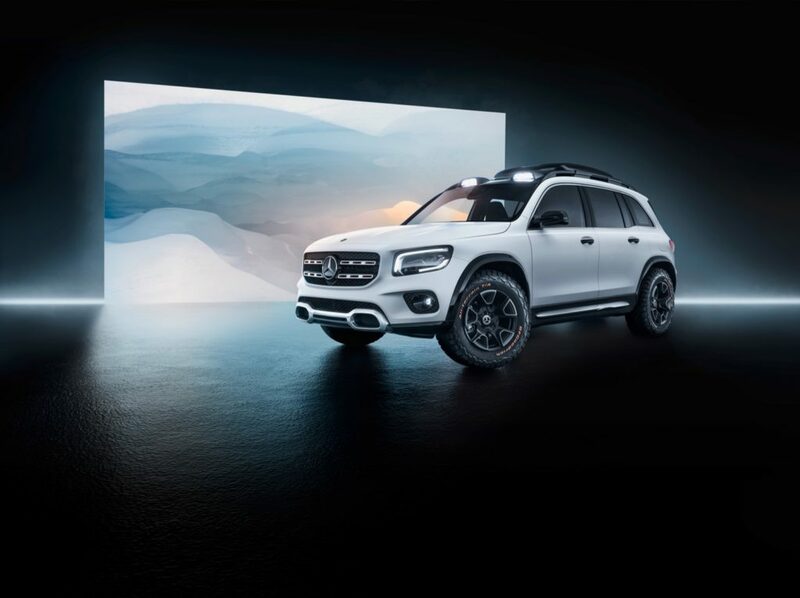 Mercedes-Benz has unveiled the Concept GLB today at the Shanghai Motor Show. 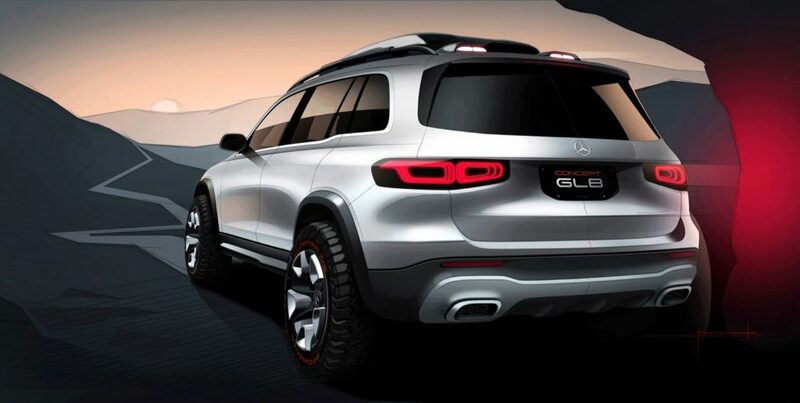 The Mercedes-Benz concept GLB is a more off-road ready compact crossover than the current GLA. 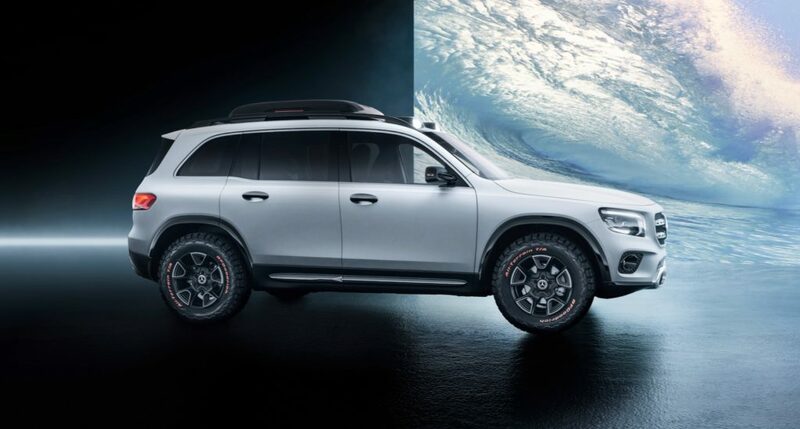 Although it’s being labeled as a compact, the concept GLB has room for seven passengers thanks to its 182-inch long body and 111-inch wheelbase. 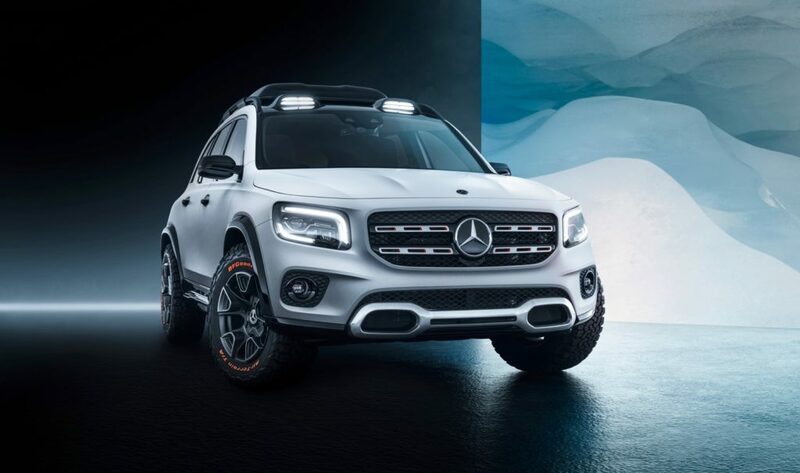 The Concept GLB slots in between the GLA and GLC. 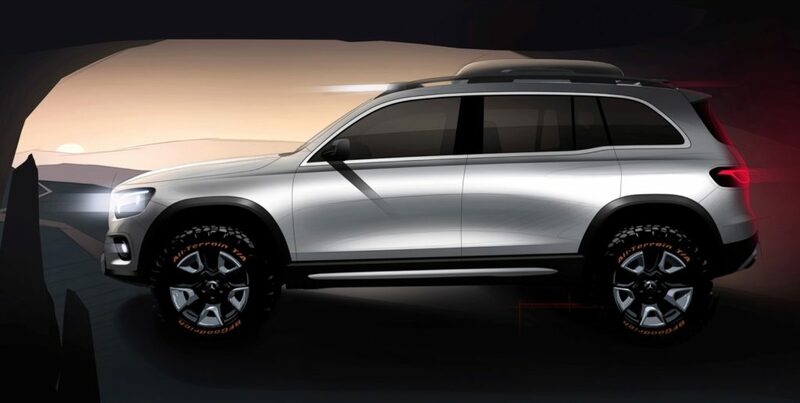 On the outside it features a more upright profile and its extra body cladding gives it a more rugged look. 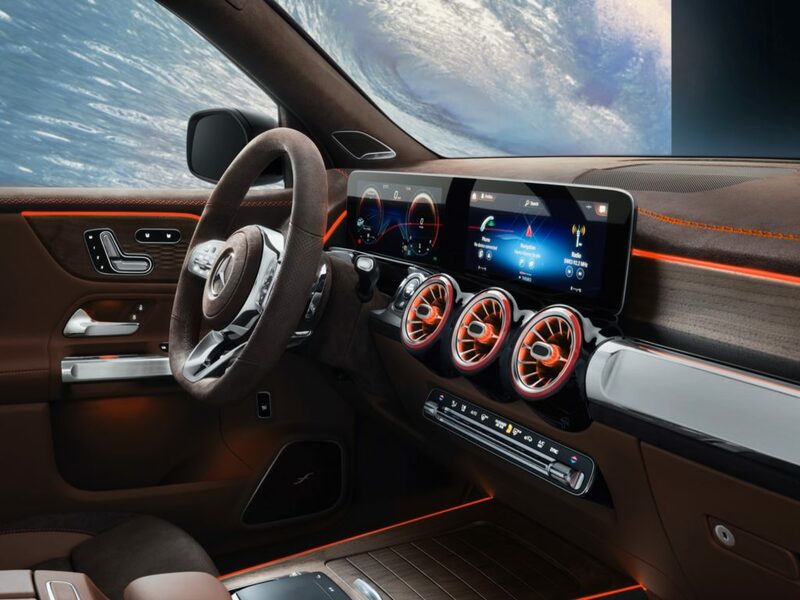 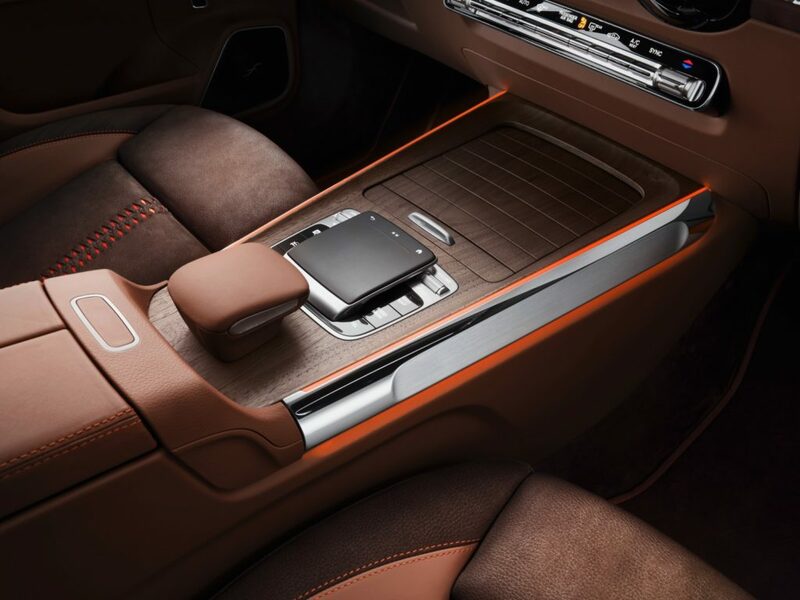 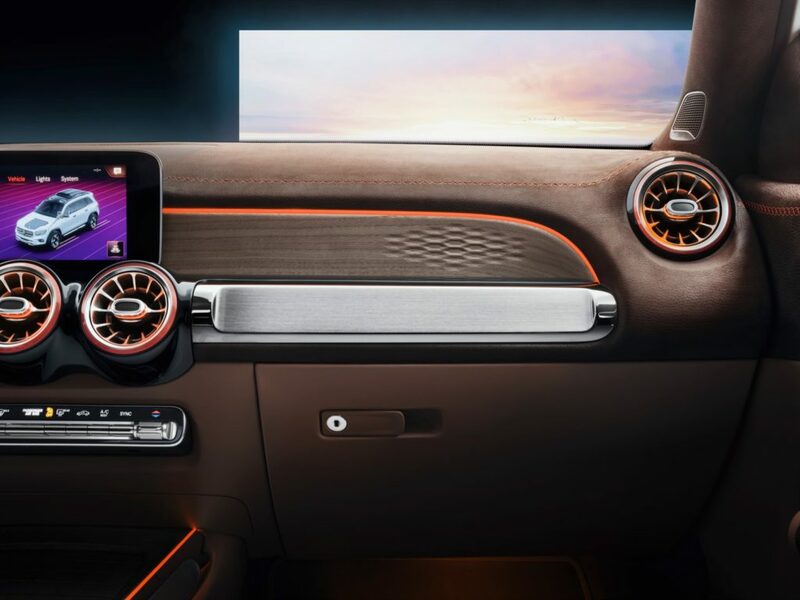 Inside the interior borrows many styling cues from the rest of the Mercedes-Benz lineup with its fully digital instrument cluster and MBUX infotainment system. 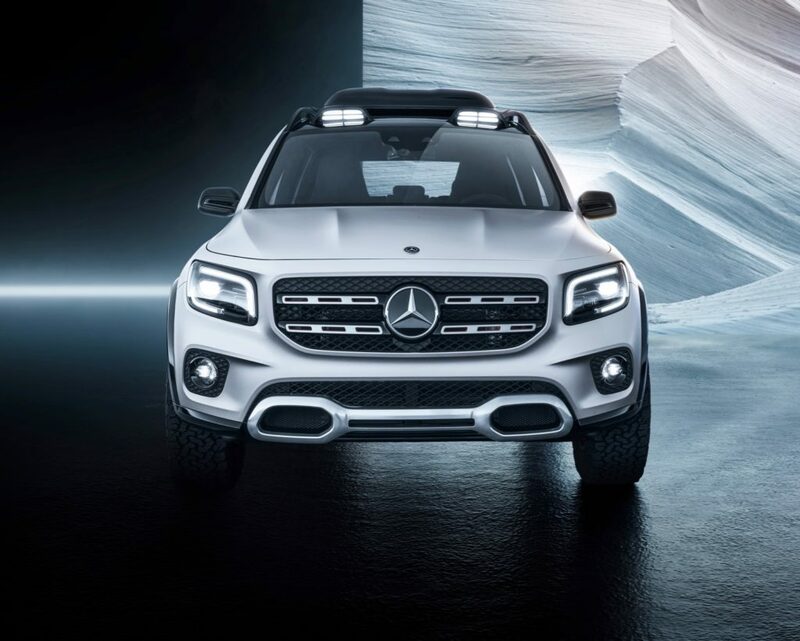 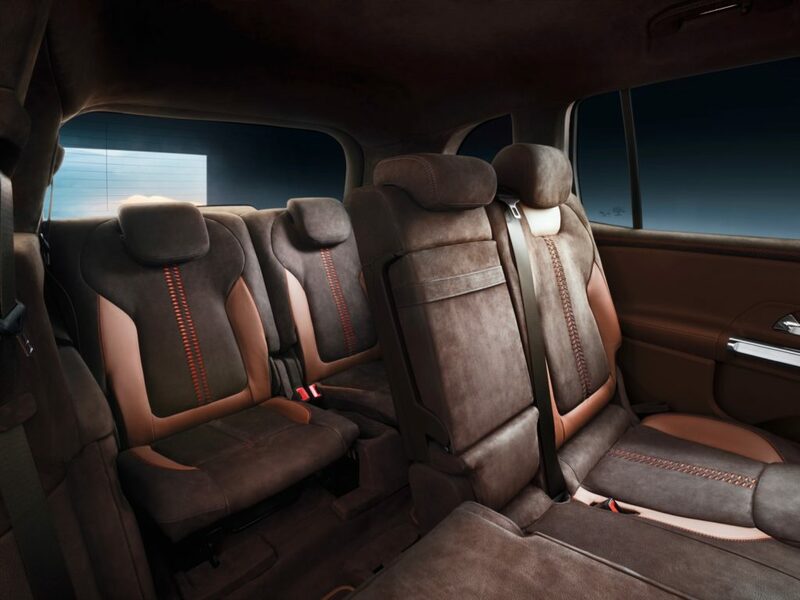 Mercedes-Benz says that the two third row seats can also be folded into the load compartment floor to increase cargo capacity. 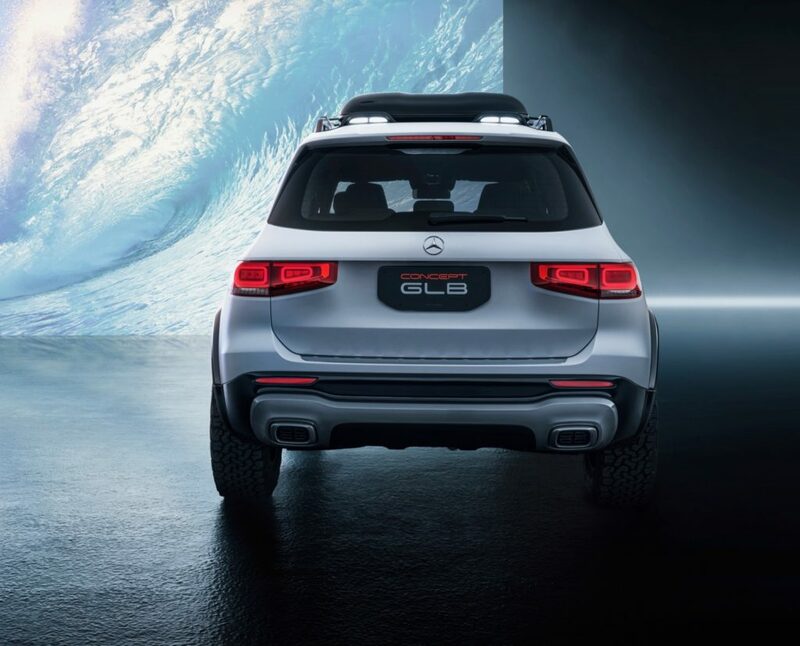 The Concept GLB is powered by a 2.0L M260 four-cylinder engine with 224-hp and 258 lb-ft. of torque that’s mated to an 8-speed-DCT dual clutch transmission. 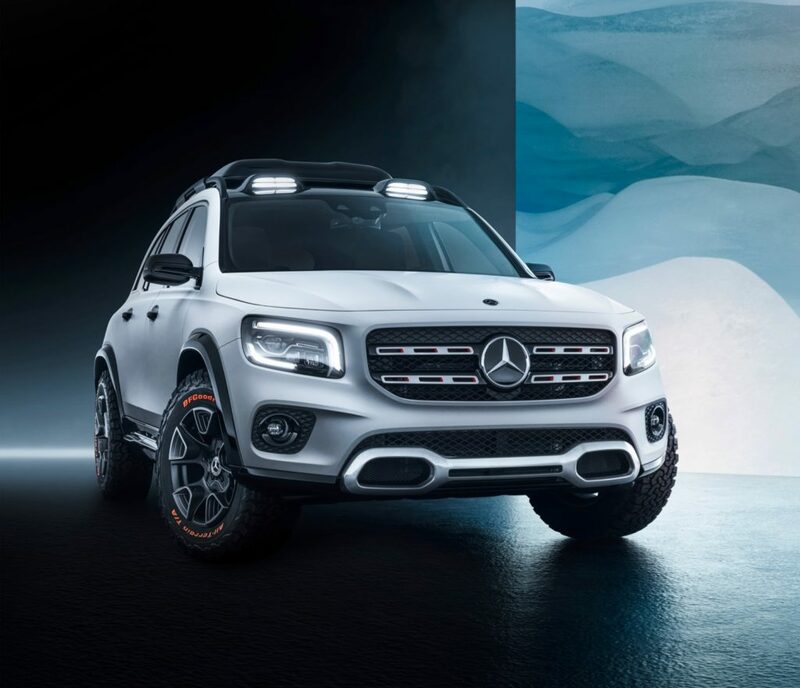 The concept GLB comes standard with the 4Matic all-wheel drive system, with three drive modes: Eco/Comfort distributes the power 80:20, while Sport mode sends a bit more power to the rear at 70:30 and off-road mode maintains a 50:50 split. 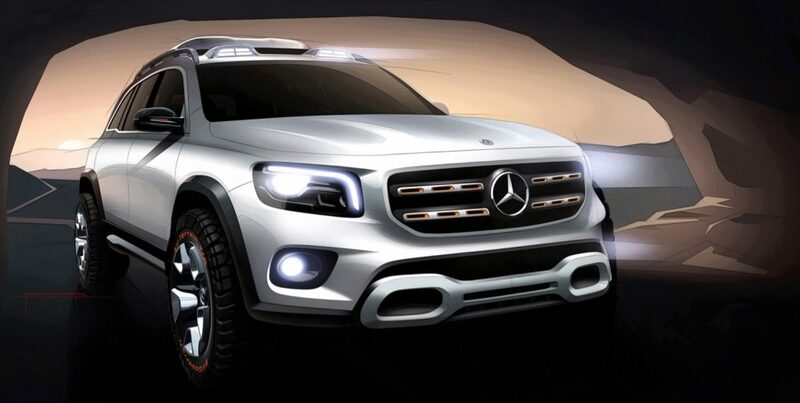 From the looks of it the Concept GLB does look pretty production ready, so we’ll have to wait and see.